„Power-to-Heat“ literally means the generation of heat with electricity. Generally „Power-to-Heat“ means the usage of temporary electrical energy excess. Energy excess occurs when the generation of electricity is extremely high or the consumption of electricity is extremely low. These fluctuations, also called volatility, have to be intercepted so that the stability of the grid can be maintained. Transition system operators in Germany are legally obliged to maintain the grid frequency at 50 Hertz. In order to achieve this, the operators are dependent on the flexibility of peripheral providers and consumer installations. When the number of renewable energy sources increasing there will be more power surges than before. Turning down the unused power or interrupting the production of e.g. wind turbines would be a wrong solution. In order to achieve a sustainable and stable energy policy, we cannot afford to waste the valuable power potential that is produced at high performance times. The power must be transferred to storage points to ensure utilization at a later point in time. This is where Power-to-Heat comes into play. The conversion of Power-to-Heat will allow electrical energy to be further utilised in the power grid, making it is reasonable and sustainable. As part of the energy transition process alternative methods such as Power-to-Heat will become indispensable. And as the Transition system operators in Germany are dependent on flexible decentralised power plants and consumer installations, the provision of reserves will be rewarded with attractive premiums. When you set the kettle on for tea in the morning, you are using the principle of Power-to-Heat. At the end of the 19th century the first immersion heater arrived on the market and simultaneously kettles operated by it developed. The concept for the first kettle with embedded heater was presented in 1893 at the World Fair in Chicago. In the 1920`s the water heater was widely used in households in the West. The principle has not significantly changed in over a hundred years. The resistance coil wire warms up and transfers the heat to water. The principle is simple and effective and it works fast with a performance rate of over 98%. In the process of energy transition Power-to-Heat is experiencing a kind of renaissance. If Germany is largely to be powered by renewable energy by the year 2050, appropriate power storage stations will be needed. The heating storage will play a key role there because there are currently no affordable alternatives. In this context the federal government in 2013 lifted the ban on the use of night storage heating. Many water heaters and heat storages work with the principle of the immersion heater. A liquid or solid matter is heated – water for instance. The heat is generated by resistance material – in the case of the water heater it is the coil wire. 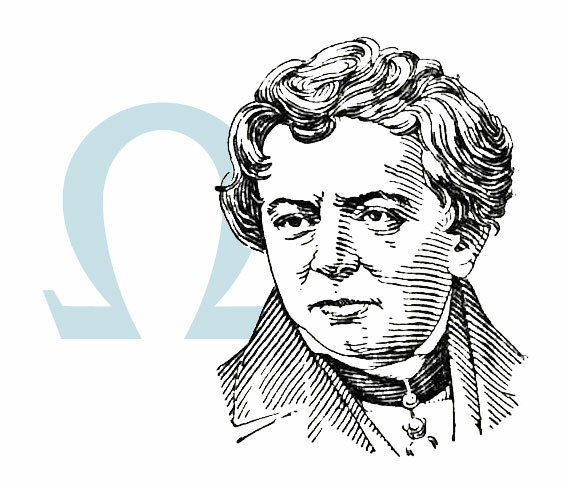 Georg Simon Ohm discovered the link between current intensity and current voltage. If one is changed, the other will change proportionally. That is to say that if you double the intensity, the current voltage will be doubled as well. When different electric conductors are used while current intensity and current voltage are constant, the current performance changes as well. Ohm came to the conclusion that there has to be a constant that is dependent on the transmitting material and thus influences the current’s performance. He named it the resistance and since then it has been measured in the unit of Ohm. Ohm´s Law, named after its discoverer, plays an important role in the heat production from electricity. The bigger the electrical resistance, the more heat will be released. The so called high Ohm heat conductors are used for heating. Transition system operators in Germany are legally obliged to maintain the grid medium frequency at 50 Hertz. The operators must react when the grid frequency rises or falls. The grid frequency is dependent on the input and usage. When more current is transferred into the grid than it is used, the frequency rises; reversing the process causes it to fall. The worst thing that can happen by such fluctuations is a power outage caused by excess voltage or not enough voltage. In order to keep the energy level stable, the energy is deliberately regulated in the grid. To this end transition system operators manage the so-called “grid frequency control market”. Depending on whether or not there is an energy excess or deficit in the grid, the operators must be able to intercept these fluctuations. The removal of excessive energy from the grid is known as “negative grid frequency control” and the supply of energy is called “positive grid frequency control”. The performance of the power grid operators is categorised by the reaction time. If the grid operator can react to fluctuations almost immediately, it is called “primary grid frequency control”; if the reaction is up to five minutes we call it ” secondary grid frequency control” and up to 15 minutes “tertiary grid frequency control”. As the grid operators must ensure that their reserves are always sufficient so that the grid frequency can be regulated quickly and efficiently, they pay a so-called “service price” for this provision. If the reserves are actually needed, Power-to-Heat operators are remunerated with a so-called “commodity price”. The reaction times of power-to-heat systems generally permits the use in all areas of control energy. Due to the current situation on the energy market, however, the negative secondary power control is the most attractive market place currently. Power-to-Heat provides an important contribution to energy transition. Renewable energy sources cause enormous fluctuations in the production of electricity. For instance on the coast strong winds cause extremely large amounts of energy to be transferred into grid and the existing infrastructure is insufficient to transport the electricity within the distribution network or into highly located regions. When the distribution network becomes overburdened, it leads to a forced regulation process. This process is legally regulated and it is called the feed-in management. The so-called feed-in circuits regulate the affected areas step by step – initially down to 60%, than to 30% and finally down to 0%. The operators are compensated for this; however, the process puts a high stress load on the installations and can cause considerable damage in the long term. At the same time it produces a shortage in the production of heat with which it is coupled. If a Glood Power-to-Heat installation is used, it can intercept the reduction signal that was set off by a feed-in circuit. As a result the energy producer can select a Power-to-Heat module instead of gradually turning the energy production down. In this case the feed-out capacity will be reduced as needed without losing the heat energy for the heating network. In the future energy excess will occur more often as a result of the further development of renewable energy sources. This is why meaningful solutions must be put forward to utilise this electricity – the increasing closures of these RE (renewable energy) power stations seems like the worst solution. The accumulators in the CHP (combined heat and power) plants offer a sensible, inexpensive, and relatively simple opportunity for the usage of this energy. By implementing electric heaters in heat accumulators, around 6TW-h could be used in 2030 and 16-22 TW-h in 2050. This offers considerable advantages to the whole system: the HCP power plants located in flat areas will relieve the pressure off the electricity grid and especially the distribution network. In the future flexible CHP systems will combine both the electricity market and the heating market resulting in efficiency and integration of renewable energies. By the year 2050 Germany plans to achieve 80% of its energy needs from renewable energy resources. However, renewable energy sources like sun and wind can be regulated only to some extent. In the summer more solar energy can be “harvested” than in the winter and wind is unpredictable and dependent on the weather. In order to achieve energy transition, it is necessary that we are able to store energy. It is the only way to ensure that energy is available when it is needed, regardless of the weather. Profitability and efficiency are deciding factors in the necessity of the respective accumulators. The direct storing of energy – the so-called primary energy storing – is currently not affordable. The capacity of pump storing facilities is insufficient to cover the need. At the same time the use of batteries and powe-to-gas facilities is still too expensive. There has been discussion on the use of batteries from electric cars as a means to balance out the fluctuations in the power grid but is it also not considered cost-effective. 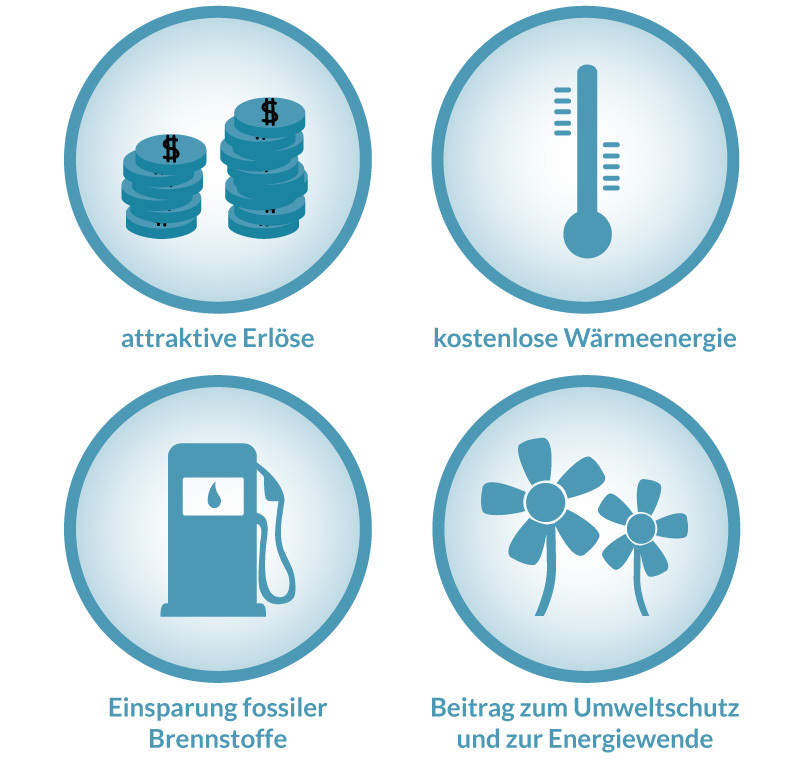 Da die Möglichkeiten für die Primärenergiespeicherung derzeit nicht gegeben sind, ist die einzige Alternative Strom in Sekundärenergie umzuwandeln, ihn also in einer anderen Energieform zu speichern. Die bisher gültige Sichtweise, dass Strom auf diese Weise an Wert verliert, muss vor diesem Hintergrund völlig neu bewertet werden. As it is currently not possible to store primary energy, the only alternative is to change it into secondary energy, meaning that it gets stored in another energy form. The old belief that electricity loses value in this way must be re-considered. In the future we will be experiencing power excess generated by solar and wind farms that will be left unused because of our inability to store it. Of course, such a waste of valuable power is unacceptable. The only practical possibility on the German energy market at the moment is to transfer the energy into heat that can be used in the heating network. If the energy transition is to succeed, Power-to-Heat is unavoidable. In a power market which draws increasing amounts of its energy from renewable resources, we will have to consider electricity, which would be controlled otherwise, to be used somewhere else, for example in the area of heating. A Glood Power-to-Heat installation has clear economic advantages. You will be compensated just for the provision of the installation. You will be able to change into heat the excess energy that is generated in the grid from too much input from renewable sources. So you will receive heating energy that costs you nothing and you can save fossil fuels on top of that. Das schont nicht nur Ihren Geldbeutel, sondern auch die Umwelt. Sie helfen dadurch zum einen die CO2-Emission zu senken. Gleichzeitig unterstützen Sie das Gelingen der Energiewende, indem Sie mit Ihrer Power-to-Heat-Anlage dazu beitragen, das Stromnetz zu stabilisieren. Dieser Beitrag zur Stromnetz-Stabilisierung wird Ihnen auf zwei Arten vergütet. Zunächst erhalten Sie den Leistungspreis für die Bereitstellung Ihrer Anlage. Sie werden also allein dafür bezahlt, dass Sie in der Lage sind Strom abzunehmen, wenn es notwendig wird. Sobald dieser Fall eintritt, erhalten Sie auch für die Abnahme des Stroms eine Vergütung in Form des sogenannten Arbeitspreises. Eine Glood-Power-to-Heat-Anlage zahlt sich für Sie also im wahrsten Sinne des Wortes aus. Who is eligible for a Power-to-Heat installation? Do You high heating demand and run your own heating network? Do you produce electricity with a connected heating network? Contact us and profit from our know-how!